Another Duke and Duchess date night was in the works for Prince Harry and Meghan Markle on Wednesday, January 16. The expectant parents stepped out to attend the Cirque du Soleil premiere of its new show, Totem, held at the Royal Albert Hall in London. The event itself was in support of Prince Harry’s co-founded charity, Sentebale, so the couple showed up—in exceptionally-glamorous evening-wear. 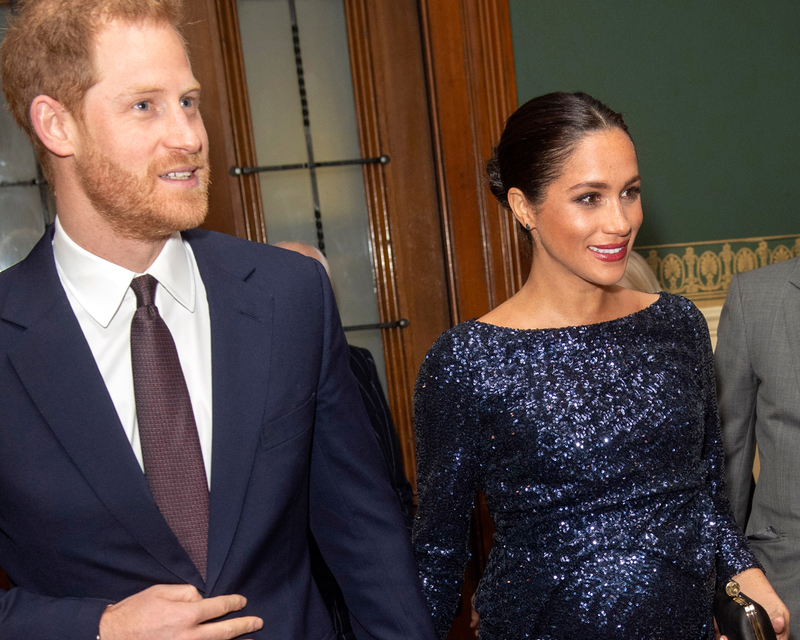 For their date night, Markle sparkled in a navy, sequined, floor-length gown with a high slit. The dazzling piece also featured a boat-neck, which was the same style the former actress chose for her wedding on May 19. One of Markle’s favorite designers, Roland Mouret, designed the piece, which would typically set a client back at least $5,595. Markle accessorized her outfit with a stiletto sandal and black Givenchy clutch. The Duchess also wore a gold bracelet that previously belonged to her late mother-in-law Princess Diana. The couple is currently expecting their first child together, which the Duchess previously revealed is due in late April 2019. Be the first to comment on "Meghan Markle and Prince Harry Sparkle at Cirque du Soleil Date Night"